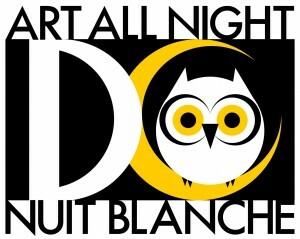 Art All Night begins at 7 p.m., Saturday. Our event picks this week run the gamut, so we decided to break them down by category. See something we missed? Add your pick in the comments section. Books: The National Book Festival takes place Saturday and Sunday on the National Mall. The free event will include author talks, readings and story telling events for children, teens and adults. Check the full schedule for information. Art: This is the weekend for art in D.C. The (e)merge art fair, running Friday through Sunday, will bring together local and international artists at the Capitol Skyline Hotel. Tickets are $15, so if you’re looking for a free and more community-oriented alternative, check out Nuit Blanche: Art All Night. It begins at 7 p.m. on Saturday. D.C.’s painters, street performers, DJs and other artists will be showcasing their talents in various Shaw and Chinatown venues. History: Interested in learning more about your neighborhood? Check out Anacostia Community Museum‘s Researching Community History workshop at 7 p.m., Thursday. Historian Matthew Gilmore will instruct participants on using public data to uncover information about D.C.’s neighborhoods. Music: If you missed Chuck Brown during the National Symphony Orchestra’s Labor Day Concert, here’s your chance to catch the “Godfather of Go-Go” for free. Brown will perform at 5 p.m., Friday at the Woodrow Wilson Plaza. Oh, and I forgot! Fiesta DC takes place from noon to 7 p.m., Sunday in Mount Pleasant. Check that out, too!